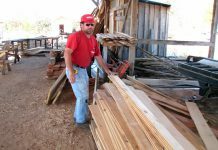 Articles Planing raw oak is no problem! – It’s just not necessary to dry oak that will be left untreated in a gate. 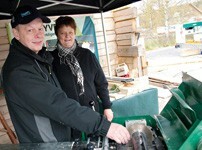 And if you build using raw wood, then it won’t warp as much during drying, explains Mikael Carlsson at Toftens sawmill. 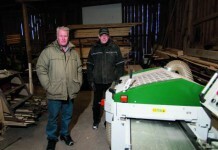 Mikael and his brother Kjell operate the business that has been in the family since the 1700s. 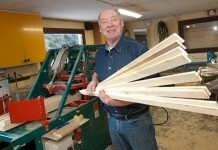 Until five years ago, their main area of business was milk, but today it is small-scale woodworking. 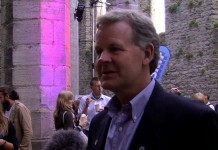 -It started when we went on a job to do conservation work in a nature reserve. We were thinning the forest and used horses to draw out the timber in order to avoid damaging the grounds, says Mikael. When the brothers were asked if they would be able to make a set of gates for the area, the idea started to take form. Pressure-treated wood was out of the question- it would have to be a naturally durable tree species. The choice fell on oak. 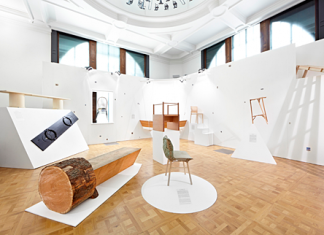 – Oak’s heartwood is highly durable, says Mikael, pointing out that the sapwood is significantly worse. Does it need to be dried? The right raw materials were standing right in the forest. 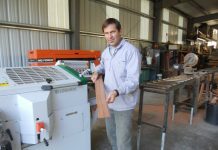 The property had a circular sawmill and a Logosol planer/moulder PH260. It was just a matter of getting started with the construction. But Mikael soon realised that it was unnecessary and unwise to let the wood dry before planing and installation of the gates. 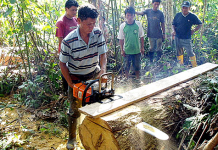 -Drying increases the risk of warping in the wood. 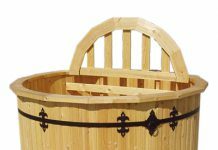 Furthermore, it is not necessary to dry material for a gate that is going to be outside and which will not be surface treated, but rather naturally protected by the heartwood, he says. No sooner said than done. In went the fresh oak to the planer. It worked splendidly, and since the gate was bolted together, there was no warping after drying. 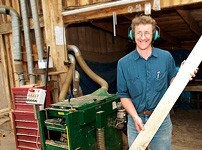 Countless metres of fresh oak have gone through the planer since. The tannic acid has left no trace on the machine and the surfaces are even and true both before and after the wood has dried. 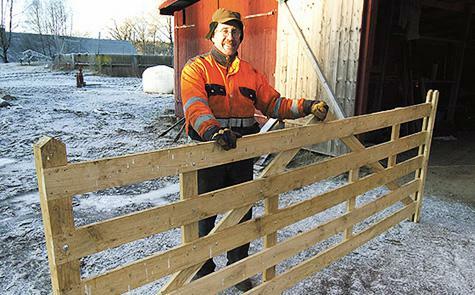 One might well wonder why Mikael spends time planing wood for gates that will stand untreated in a nature reserve. 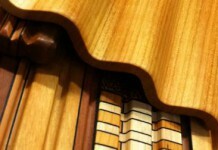 Over time the differences between planed and unplaned are unlikely to be noticeable. – I plane them to get the right dimensions. Assembly is easier that way, replies Mikael. News of the reliable and durable oak gates has spread, and orders are coming in from half the country, including for a tribute to the king of botany himself, Carl Linneus. – For Linneus’ 300-year anniversary celebration, I got orders from the agricultural university in Uppsala for posts that would be used to mark footpaths during the celebration. The posts would have to be planed with milling on the sides to paint different colours to point hikers in the right direction, says Mikael, who received more orders for posts after the delivery.